MBA, Author, former Chief Financial officer of $275M high growth company,Business Owner, Consultant,Business Coach, Passionate, Engaging & Entertaining Speaker & Trainer. Specializing in Business and Motivational presentations to business professionals & entrepreneurs and Finance & Accounting Made Simple! A Scholar in the Gerson Lehrman Council of experts & member of the Standard & Poor's Society of Industry Leaders. MBA, Author former Chief Financial Officer (CFO) of $275M high growth company; Business Owner (CEO); Consultant ;Business Coach, passionate, and entertaining Speaker & Trainer; Scholar in the Gersen Lehrman Council of Experts & member of the Standard & Poors Society of Industry Leaders. Carl has developed business and motivational presentations based on his vast experiences in senior level finance & management positions that he will specifically tailor to audiences. Presentations provide simple rules, tools and techniques to achieve business and personal success under his brand of Mr. Simplicity. Attendee expectations are determined through pre-event client survey. Sessions are lively, full of energy with lots of audience interaction. Specific take away points and handouts are developed based on pre event coordination. Carl uses wit and wisdom so audiences have fun while they learn. Presentations are rich in content and delivered with relevant anecdotes and stories from his experiences. He uses them to make lasting learning points in addition to entertaining and educating audiences. He guarantees audience will be well pleased and sessions meet or exceed expectations. The experience of having Carl as a speaker will make a lasting positive impression on audiences. Carl is a highly trained accountant with over 25 years of speaking and training experience. His real world experience were obtained in the years spent in a high growth company that grew from $10M to $275M in revenue. He started as Chief Accountant and rose through the ranks to Chief Financial Officer (CF0). He is also a former business owner (CEO) of a manufacturing firm. He is a turnaround consultant and coach, specializing in organization, management, business processes, internal control and accounting processes and systems. R-U-L-E-S- The Road to Business Success! Motivational presentation with five proven steps as a guaranteed formula for success. Presentation developed form actual experience and lessons Carl learned in his personal success pursuit. Attendees are motivated to Dream Big Dreams and Do Big Things no matter the sweat or sacrifice. Fun filled motivational message based on the dilemma couples in relationships face of My Money! Your Money! Our Money! Carl Young’s Rules of the Business Game: It’s All About People! Thirteen practical rules designed to guide mangers and entrepreneurs to greater productivity and profits. These rules are based on Carl’s 25 years of experience in senior level finance, accounting, and business management positions and presented in an easy-to-read and understand format. Handbook- Small Business Management Made Simple! Handbook of Helpful Hints and Words of Wisdom! Includes segments on Finances, Pricing, Business Plans, Customer Service, Cash Management, Thriving in Chaotic Times and Much More! PEOPLE PLEASING vs. PENCIL PUSHING-Leadership and the Soft Side of Business:-Challenges financial and business professionals to focus on People as the keys to business success. FINANCE & ACCOUNTING MADE SIMPLE-Finance and Accounting are simple if made simple. This is not a myth it is a meaning! This E book provides basic foundation and fundamentals of finance & accounting in easy to understand and apply tools and techniques. Thanks for your careful consideration of Carl for your speaking engagement. He realizes you have many choices of speakers and takes your selection of him very seriously and will work with you on every aspect of the engagement to ensure your complete satisfaction. 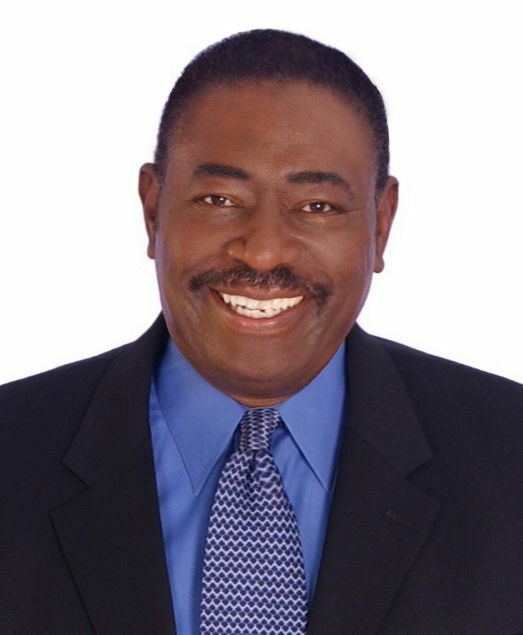 He looks forward to hearing from you to discuss future speaking needs. .
Find out more about Carl Young, MBA ,Speaker,Trainer,Consultant,Coach at http://www.CYoungConsulting.com.